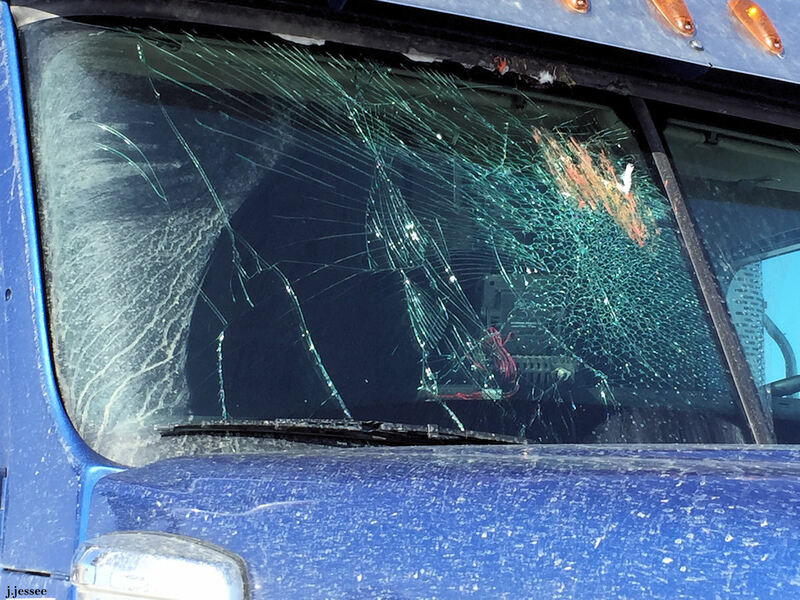 Last year several ptarmigan flew into Jack’s windshield while he was driving down the road. Yikes! 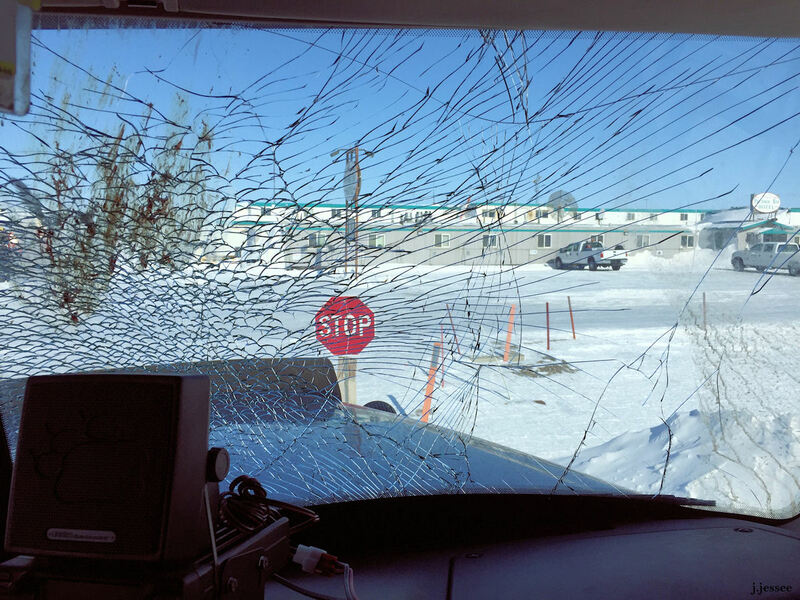 Goes to show, there are myriad road hazards in the far north. Click to enlarge. 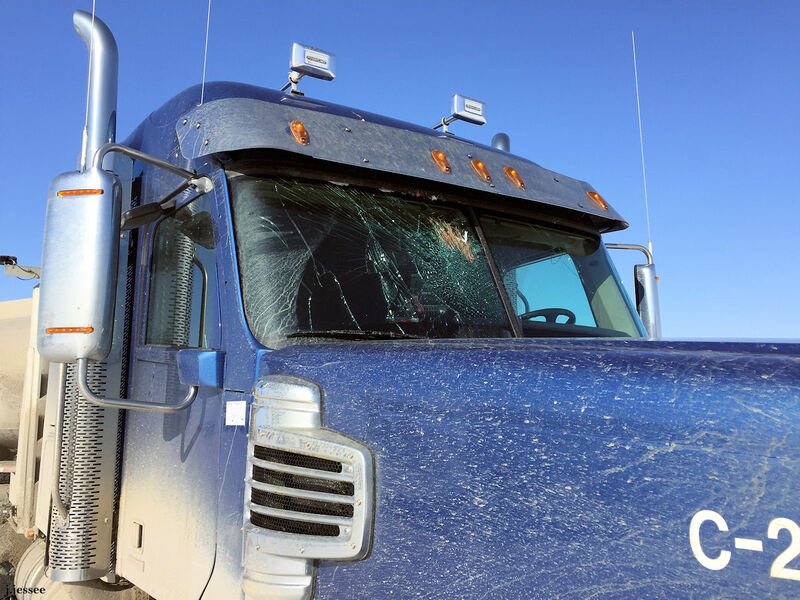 This entry was posted in Trucking, Wildlife and tagged alaska, broken windshield, dalton highway, drive, environment, highway, jack jessee, nature, ptarmigan, road hazard, transportation, truck, truck driving, trucker, trucking, vehicle, windshield. WOW , they sure did some damage. I think I would have had to change my clothes. LOL.